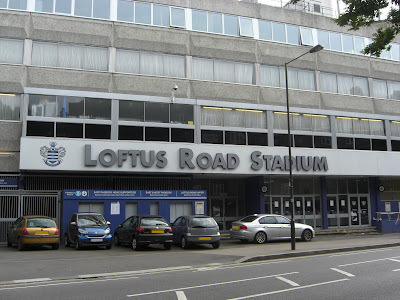 My twenty-second stadium of 2011 was on Monday 4th April 2011 at Loftus Road in Shepherd's Bush, London. The match was Queens Park Rangers vs. Sheffield United in the Football League Championship. 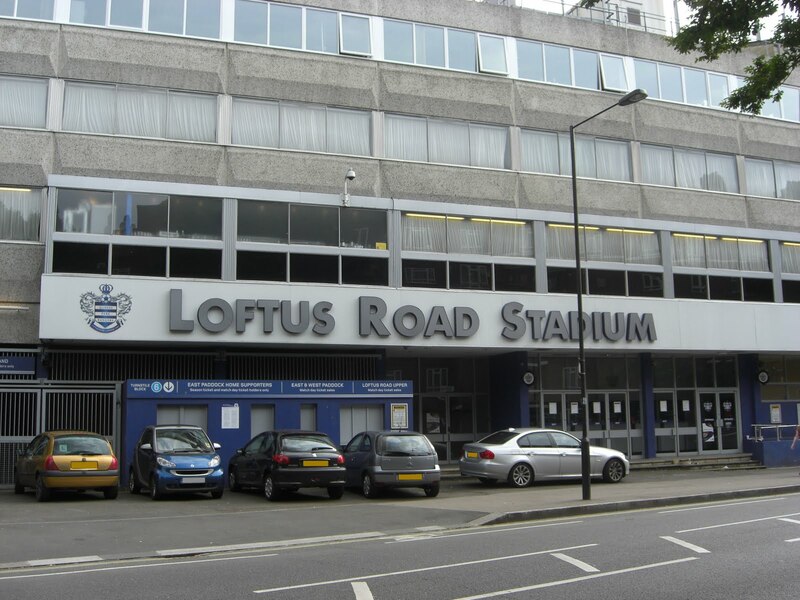 Loftus Road is hemmed in on South Africa Road near the White City tube station. It was built in 1904 and has been home to Queens Park Rangers since 1917. The venue is beginning to look quite dated but because it is boarded on all sides (one of the main entrances is literally a small walkway between two houses) there is a limited amount they can do about it. As I was with my friend who is a Sheffield United fan, I was with the away fans in the upper tier of the School End. Three of the four stands are split into upper and lower tiers with just the Ellersie Road Stand single-tiered. One thing you notice is that the lower tier on the South Africa Road Stand is tiny, consisting of only a half dozen rows of seats. The compact nature of the stadium does create a hefty atmosphere, and the tiered nature of the ground means the sound comes at you from all angles. The game was between two sides at opposite ends of the table - QPR were top of the league aiming for promotion to the Premiership while Sheffield United have had an unexpectedly bad season and find themselves in the relegation zone heading for League One. The action panned out as the league table suggested it would with QPR by far the stronger team. They played some superb flowing football and could've scored half a dozen, but eventually had to settle for three. Sheffield United were their own worse enemies with lots of unforced defensive errors and were soundly beaten.